Suthod Young, a sophomore forward on the ESF Mighty Oaks basketball team, has been named a Player of the Week by the U.S. Collegiate Athletic Association. Young was honored for his performance Jan. 5 against the Steels of the Culinary Institute of America, when he scored 18 points and had 14 rebounds. Young has since been instrumental in two other Might Oaks victories. He scored 16 points and grabbed 12 rebounds Jan. 11 in a double-overtime victory over the Pioneers of Alfred State when the two teams met in the consolation game of the Sarah Lawrence Tournament. 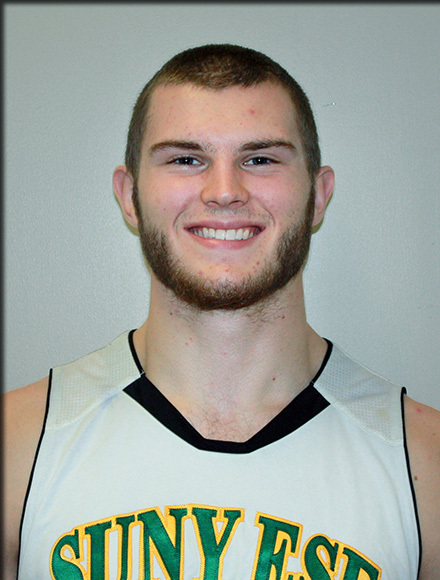 He also scored 12 points and had nine rebounds Jan. 18 in another game against the Steels. Young, a student in the ESF Department of Sustainable Contruction Management and Engineering, is a resident of Mossup, Conn.